As students settle into a new school year, teachers and administration at MIS and HPMS have communicated the importance of treating others with respect through digital citizenship. To emphasize the importance of treating others kindly, both online and offline, fifth-graders were treated to a special guest speaker Sept. 10. Blogger Olivia Van Ledtje spoke to the Raiders about the importance of digital citizenship and how kids have a lot to teach each other and the world. 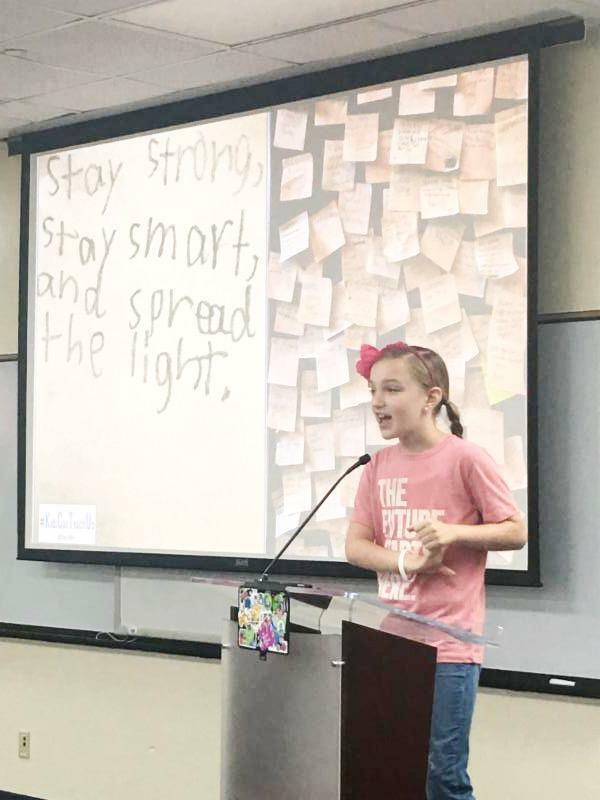 Olivia, also known as LivBits, took her own experience of being bullied by classmates and turned it positive by using social media to advocate reading books and being kind and truthful. The first author Olivia featured on her blog was the author of the popular book The Dot by Peter H. Reynolds. Reynolds's book tells the story of a budding artist who learns that every person has the ability to make his or her mark. 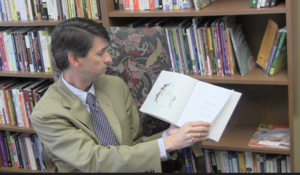 The book has gone on to inspire International Dot Day. "We are taking a page from Peter Reynolds' book to remember to 'make your mark, and see where it takes you.'" MIS Principal Dr. Skip Moran said. "We can all be inspired to make our own positive, creative contribution and pass it along." MIS/HPMS students will celebrate International Dot Day by wearing polka-a-dots and neon colors to promote kindness and friendliness Friday, Sept.14.